Come visit us at AWP Portland! Find us at book fair booth(s) 3062/3064. 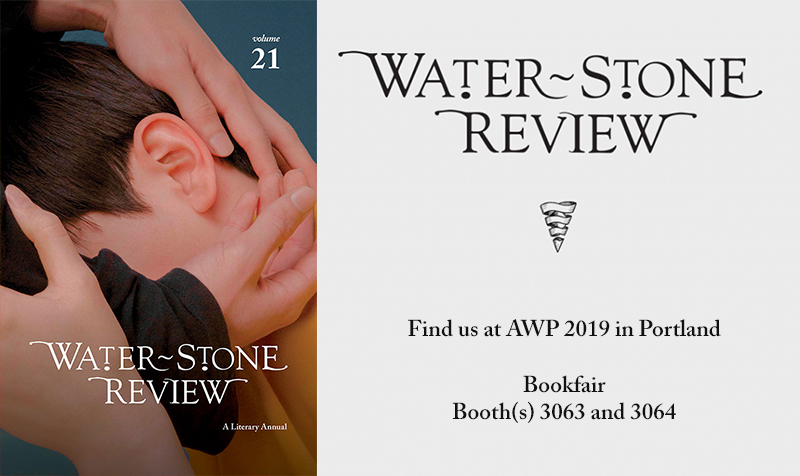 Water~Stone Review is proud to feature the work of our six Pushcart nominees from our most recent issue, Vol. 21 “Bodies Worth Defending.” Congratulations to Chris Abani, Alison Deming, Su Hwang, Lauren Jackson, Stephanie Dickinson, and Analía Villagra.